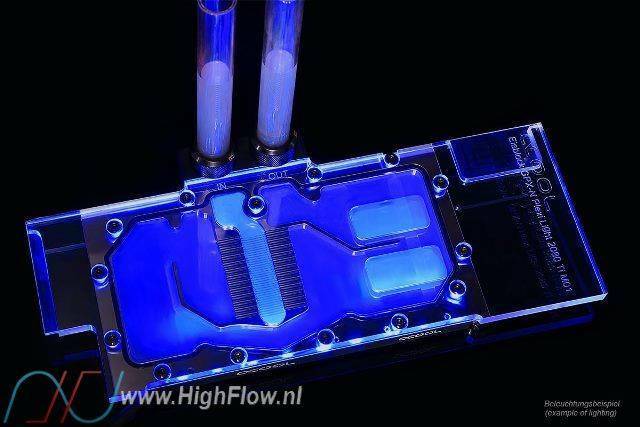 With the Eisblock GPX Plexi Light cooler, the world-renowned liquid cooling manufacturer, Alphacool, offers yet another high-quality and noble variant of the Eisblock GPX cooler. As a customer you have the choice between three different Eisblock GPX coolers. 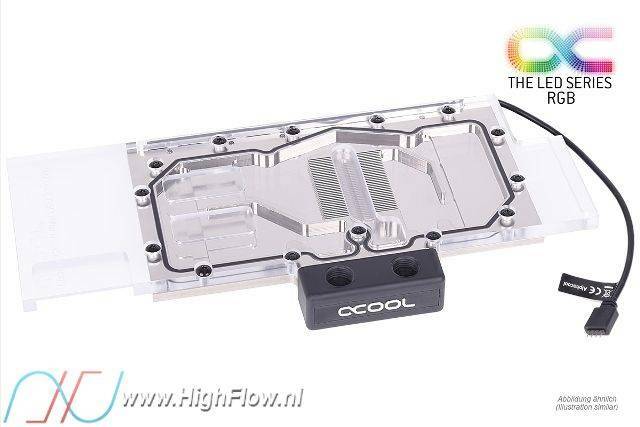 Compared to the Eisblock GPX Plexi cooler, Alphacool has removed the aluminium case which so now you see all the beautiful plexi in all its glory. The actual cooler remains identical to the big brother and is also made of nickel-plated copper. The cooler has 35 fins which are only 0.6 mm thick. 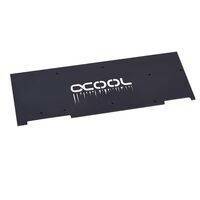 The cooler is a full cover block and extends over all components of the graphics card that need cooling. 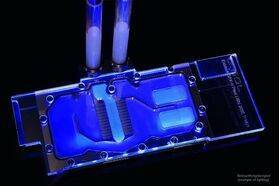 The optical highlight of the Eisblock GPX Plexi Light cooler is the complete and integrated RGB lighting. This is located on the side of the PCIe port and runs along the edge of the cooler for almost 20 cm to ensure that it perfectly illuminates the entire surface of the cooler. The RGB LED lighting is compatible with ASUS Aurora Sync, Biostar VIVID LED DJ, Gigabyte RGB Fusion, MSI Mystic and many more. You may need a Male-to-Female adapter for some motherboards.